more archetypes interwoven in the story. So what exactly is an archetype? The term "archetype" has its origins in ancient Greek. The root words are archein, which means "original or old"; and typos, which means "pattern, model or type". The combined meaning is an "original pattern" of which all other similar persons, objects, or concepts are derived, copied, modeled, or emulated. Archetypes represent fundamental human motifs of our experience as we evolved; consequentially, they evoke deep emotions. 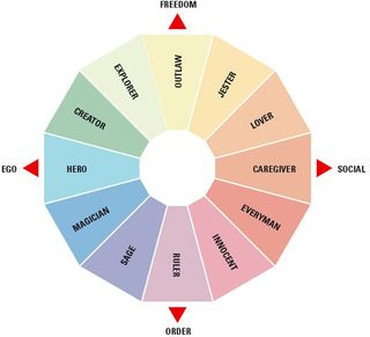 Although there are many different archetypes, psychologist, Carl Gustav Jung defined twelve primary types that symbolise basic human motivations. 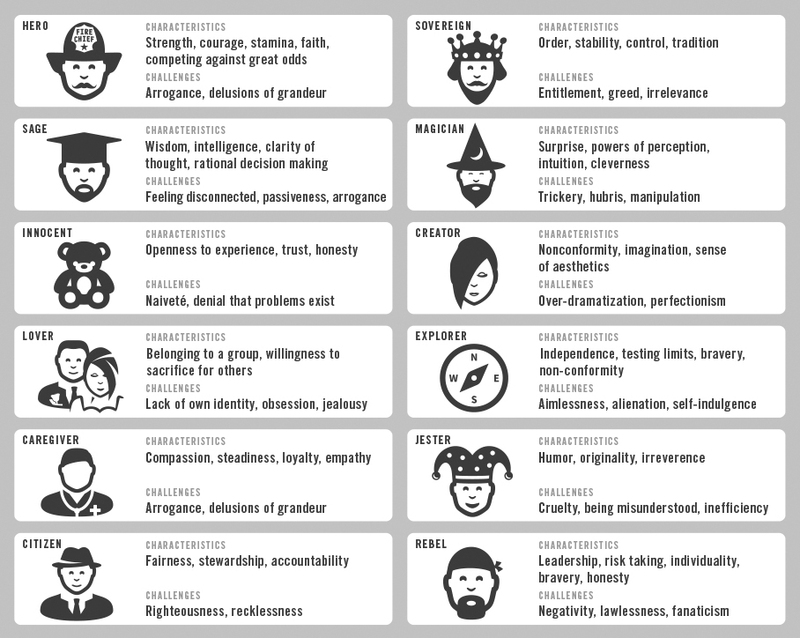 Each type has its own set of values, meanings and personality traits. Also, the twelve types are divided into three sets of four, namely Ego, Soul and Self. The types in each set share a common driving source, for example types within the Ego set are driven to fulfill ego-defined agendas.